Be sure to check at the bottom of this post for information on how to win a $25 gift certificate to the store. Images of our four new stamp sets being released tonight are listed below. They are all 4x6" sets that retail for $15 each. 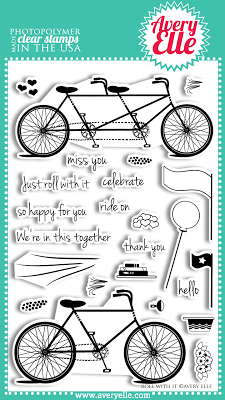 Roll With It and Petals & Stems come with FREE matching cut files. How great is that?!? We have a very special Guest Designer on our hop this month. 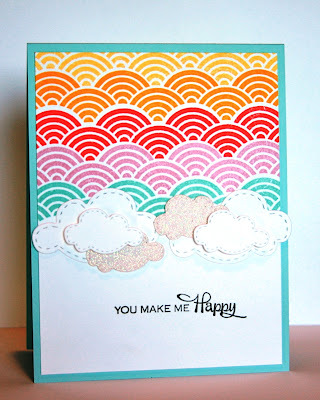 Donna Mikasa won our March Guest Designer Challenge and I am thrilled that she is joining us this month. I know that she is going to blow your socks off! I have a little project from our Celebrate set to share with you today. 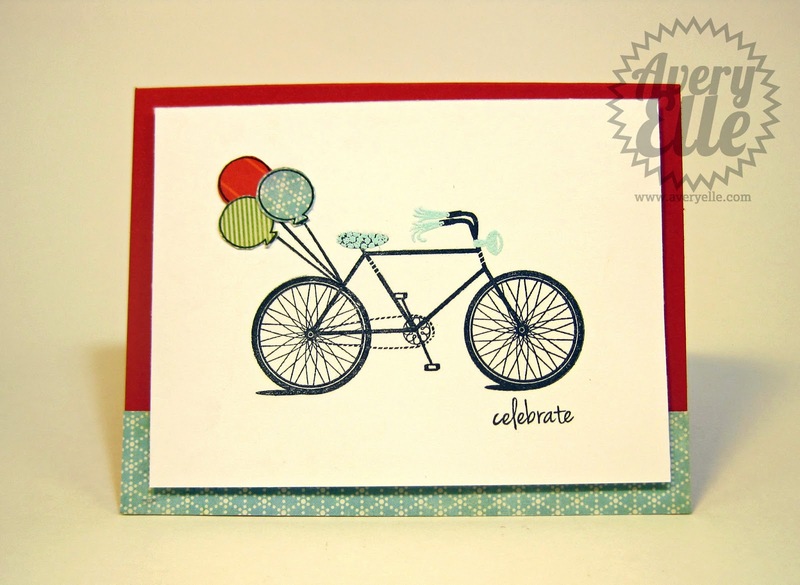 I stamped the sentiment onto our Fog heavy card stock and embossed it with white embossing powder. I colored on top of the stars with markers to create a fun look. Easy peasy. Well, that is all from me today. 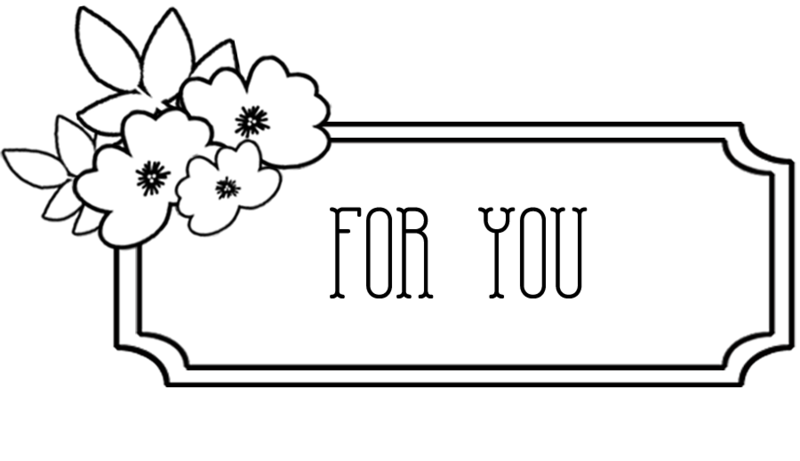 Hop on over to Chunyuan's blog next to see the All Squared Up projects she has in store for you!! You have until midnight Sunday, March 3rd to enter. 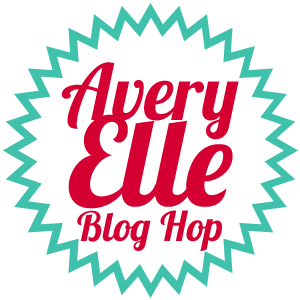 The winner will be announced on the Avery Elle Blog on Monday, March 4th. All products will be available for purchase tonight by midnight EST. (Please note that the store may be down for up to one hour before midnight so that we may be sure that all products have loaded correctly). I hope you enjoy all of the inspiration. I would love to hear what you think about our release. Thanks for stopping by! Today I have the honor of showing one last project by our amazing guest designer Veronica Zalis. It has been such a pleasure "working" with her and seeing the creative projects she created each week. Just take a look at this card she made using our Good Fortune stamp set. I love the way she stamped the triangle image. So creative. We were so fortunate to have her on the team! Be sure to leave Veronica some love on her blog to let her know what you think. I also have our final two March stamp set reveals for you. All sets will be available for purchase this Thursday, February 28th by 12PM EST. 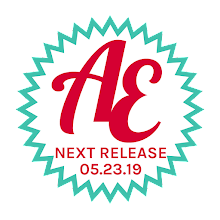 Are you getting ready for our March Release blog hop tomorrow? I sure am!! Until then, here are pictures of some projects I made with two of our newest sets. Our 4" x 6" Roll With It Clear Photopolymer stamp set is so cute and versatile. 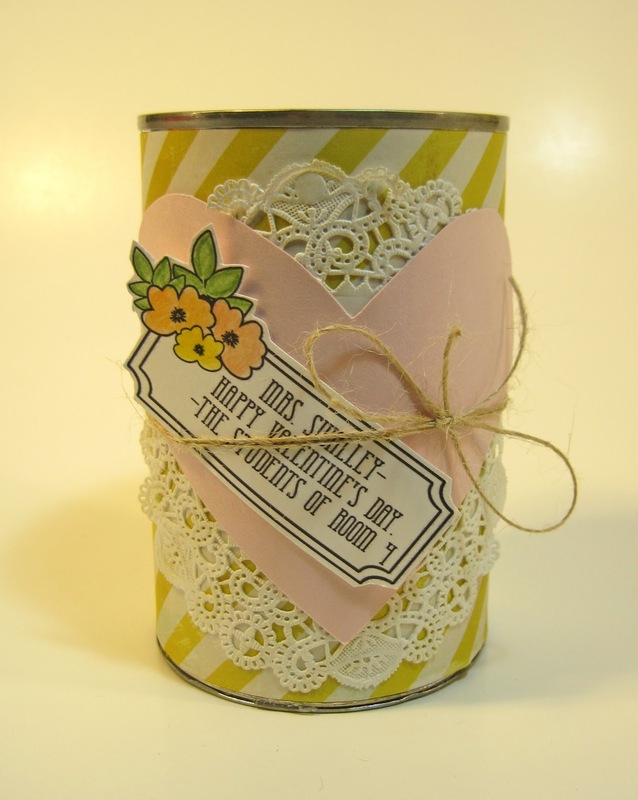 Stamp the basket full of hearts or flowers. Add books to the back of the bicycle if desired. Make a polka dot seat. Stamp a light on the front. Give your handlebars a little flair. The choice is yours. We tested every major manufacturer to find what we consider to be the best clear photopolymer stamps in the industry. We find our clear stamps require little conditioning, stamp smoother and crisper using various ink types. Our high quality photopolymer stamps are made in the USA. 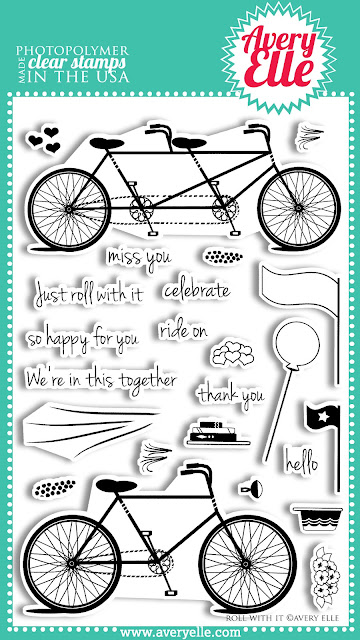 Measurements: Bicycle measures: 3 3/16" x 1 3/4"; Tandem Bicycle measures:3 11/16" x 1 1/2"; Just Roll With It sentiment measures: 1 1/4" x 1/4"
I had a lot of fun creating this set. I knew that I *needed* a bicycle with a basket, fun light, books, streamers, flags, etc. Who doesn't want a bike with a polka dot seat?!?! 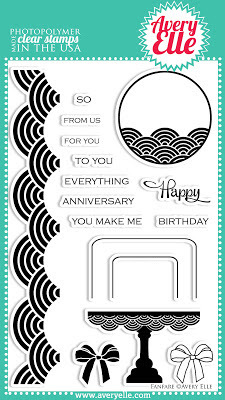 ;) This card turned out just as it looked in my head as I was illustrating Roll With It. I love it when that happens!! 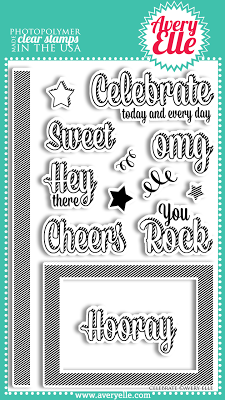 Our 4" x 6" Celebrate Clear Photopolymer stamp set is just plain fun. 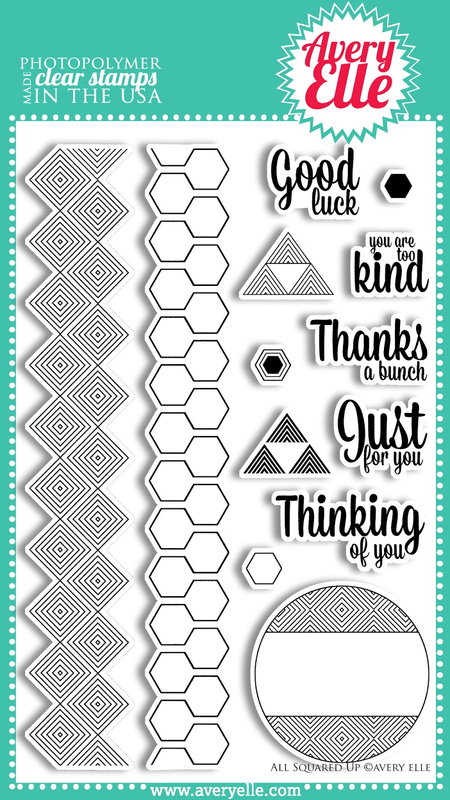 Stamp the border strip to create your own patterned paper. Use the coordinating frame and sentiment images for a professional look. All sentiments fit inside of the frame. Measurements: Frame - 3 1/16" x 2 3/16"; Striped border - 5/16" x 5 11/16"; Celebrate sentiment - 2 1/4" x 15/16"; OMG sentiment - 1 3/16" x 3/4"
Stripes are all the rage this season and I couldn't help but make some fun sentiments that took advantage of this classic trend. I wanted to outline the words so that there were lots of options for coloring. That is exactly what I did with my colored pencils below. It was fun and easy!! I am so excited that this week is finally here. 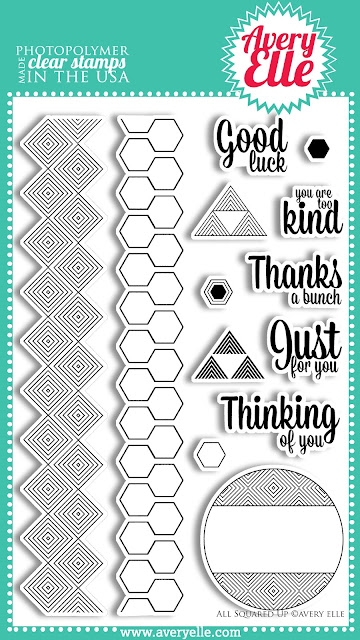 We will be releasing 4 new stamp sets this Thursday, February 28th at midnight EST and will be celebrating with a Design Team Blog Hop featuring the new stamp sets as well. Today I can finally show you previews of two stamp sets from our March release. 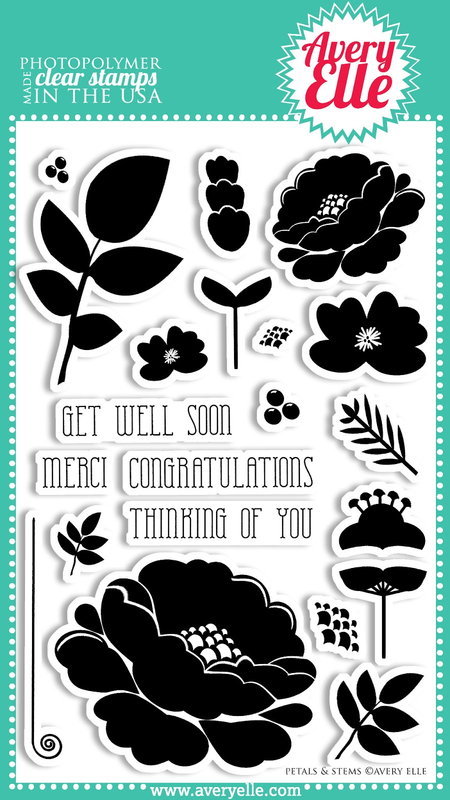 Our 4" x 6" Petals and Stems Clear Photopolymer stamp set is perfect to create beautiful cards and layouts. Stamp the sentiments inside a ring of flowers and leaves. Create your own bouquet. The possibilities are endless. Measurements: largest flower - 2 1/2" x 2"; largest leaf image - 2 3/8" x 1 7/16"; Congratulations sentiment: 1 3/4" x 1/4"
I really love this set - am I allowed to say that?? Once I finished illustrating it, I couldn't wait to get my hands on it. I stamped the lined image on an angle, rotated it and stamped it again. After stamping the "Thinking Of You" sentiment, I stamped and cut out the flowers and leaf images from this set. This card just makes me happy! 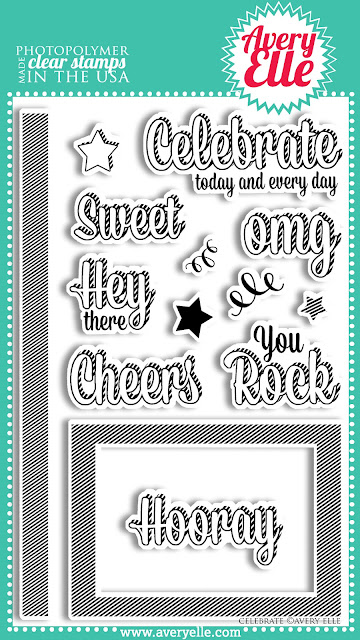 Our 4" x 6" All Squared Up Clear Photopolymer stamp set is perfect to create bold backgrounds and sayings. 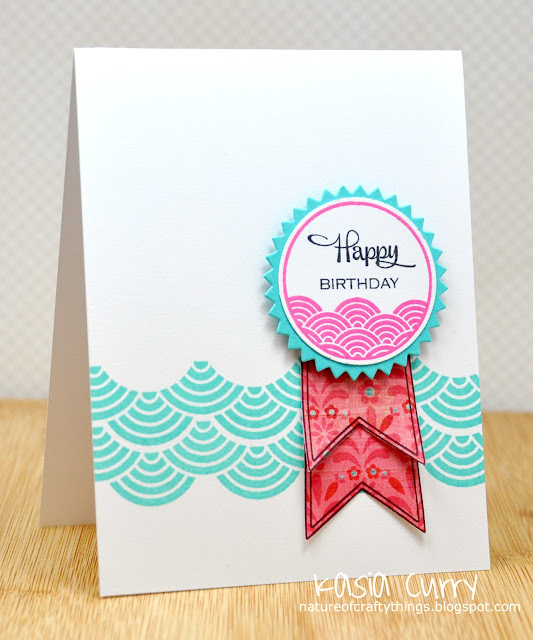 Stamp the border strips to create your own patterned paper. Use the coordinating tag and sentiment images for a professional look. All sentiments fit inside of the tag. 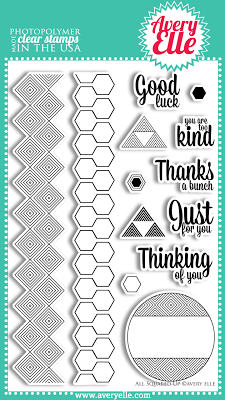 Measurements: Diamond border strip: 7/8" x 5 11/16"; Hexgon border strip: 3/4" x 5 11/16"; Circle Tag: 1 5/8" diameter; Thanks a Bunch sentiment: 2 1/8" x 5/8"
I really like the bold and graphic look that I was able to create using this set. I know that I will be reaching for it time and again. 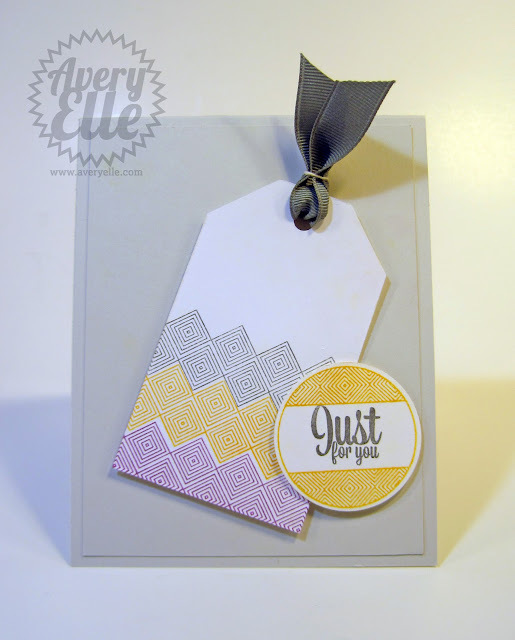 I stamped the border strip multiple times in different ink colors onto a tag. I stamped the circle and cut it out with a 1 3/4" circle punch and stamped the sentiment. After adding some fog grosgrain ribbon, I was finished. Clean and Simple!! I would love to hear what you think about these sets. Be sure to check back later this week for more previews of our March release. Thanks for stopping by! Today I have these cute projects to share with you. 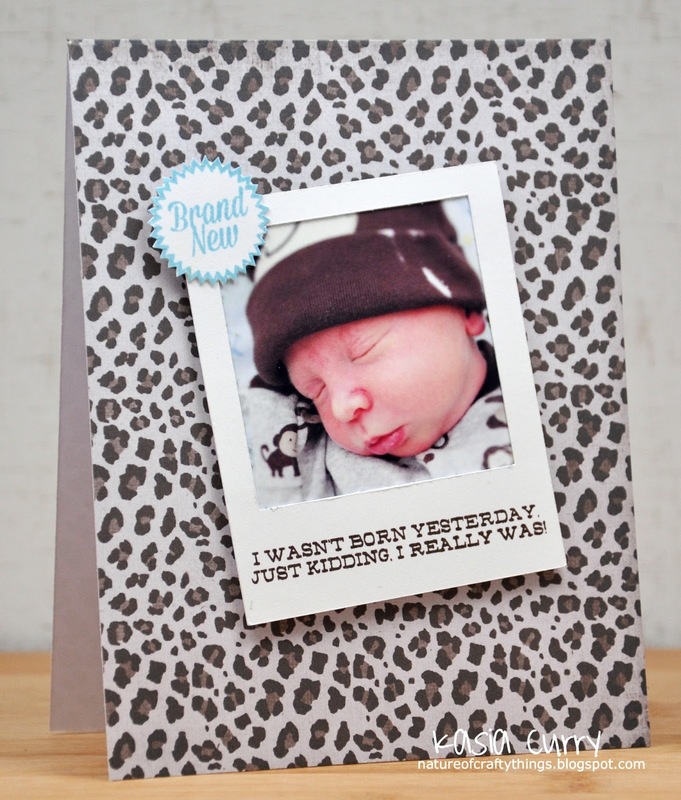 Heather created this sweet card using our Oh Baby clear photopolymer stamp set. I love how she paired the brand new image with the little oven. 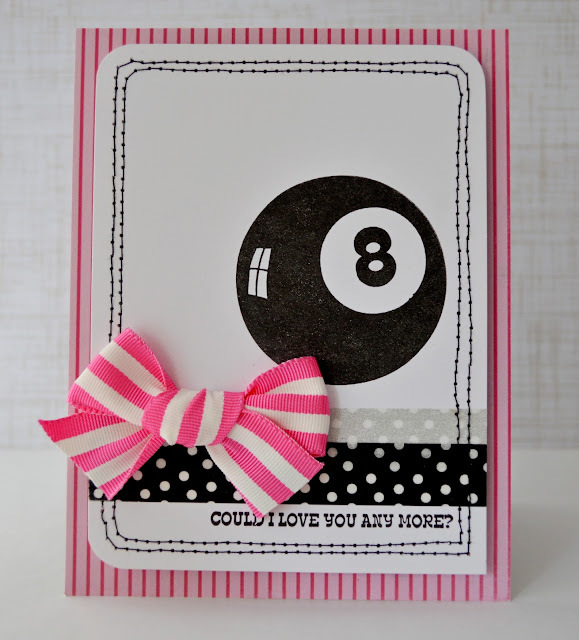 Kasia created this card using our Good Fortune set. Don't you love the way she stamped the sentiment repeatedly on an angle along with the triangle images? So creative and cute! Did you know that our Fanfare clear photopolymer stamp set was chosen as a Paper Crafts magazine's editor's choice in this month's issue? We couldn't be more excited. Here are some fun projects that we made with this set back when it came out. This set will be back in stock this coming Monday! We will send out emails to those of you that asked for notifications at that time. Thanks for stopping by. Hello! I hope that you had a great weekend. Today I have two cards to share with you. Chunyuan used our What's Up? 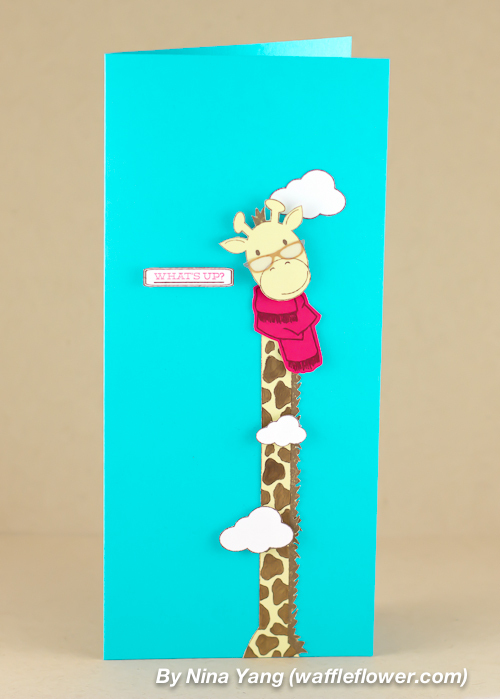 set to create this adorable giraffe peeking out of the clouds. Too cute! 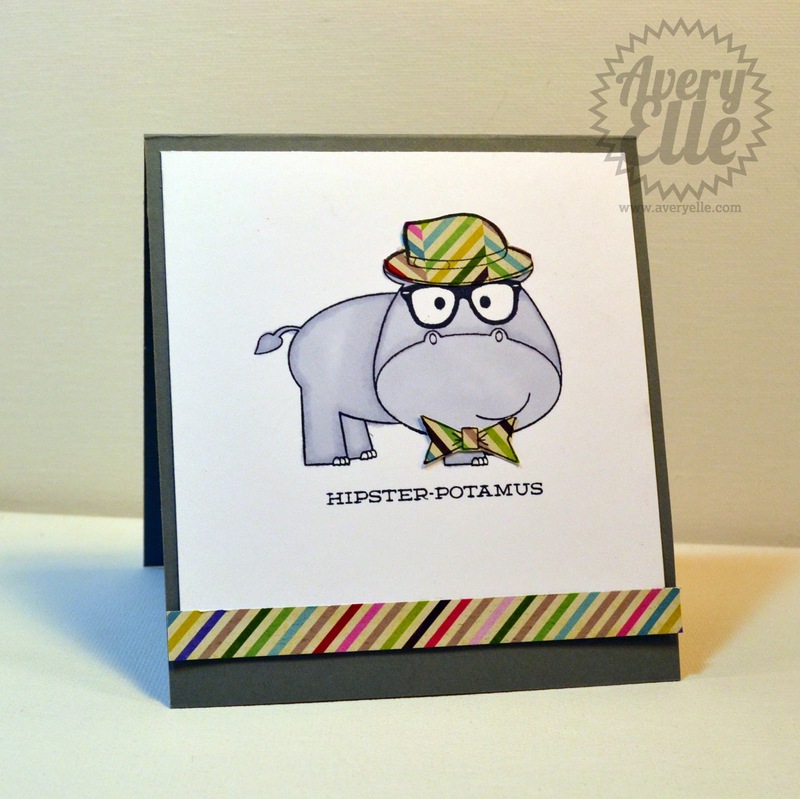 JJ created this fun card using the accessories from Hipster-Potamus and What's Up? as well as a sentiment from our Good Fortune set. So creative! Hello everyone! 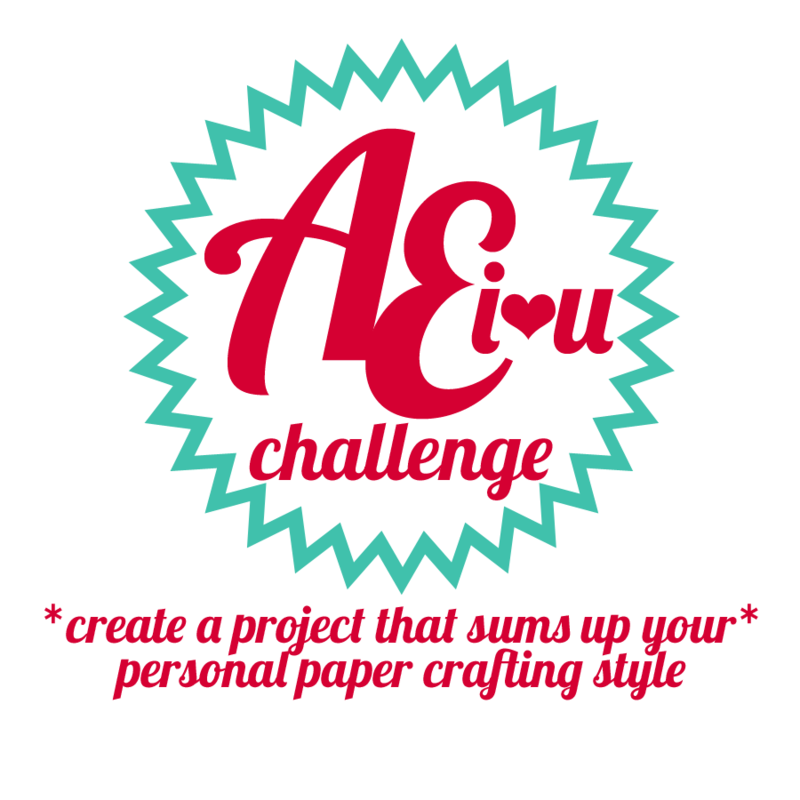 I am so excited because our February AEI♥U Challenge is starting today!!! This isn't just any challenge. The winner will be a guest designer for our upcoming April release! How great is that? The challenge for this month is to create a project based on the inspiration picture below. 1. 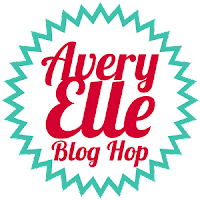 Avery Elle stamps or our free digital stamps must be used in each entry. 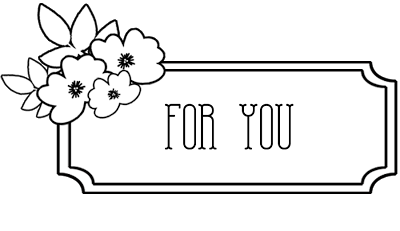 To use our digital stamp, right click on the image and save it to your favorite photo editing program. You may re-size it slightly if you wish. Please note that our free digital stamps are copyrighted and are for personal use only. Please credit Avery Elle when using them. We just added this new one to the list. 4. You will have two weeks to enter. THE DEADLINE TO ENTER IS SUNDAY, MARCH 3rd. THE WINNER WILL BE ANNOUNCED ON MONDAY, MARCH 4th. Happy Valentine's Day!! I hope that you are all having a fabulous day. 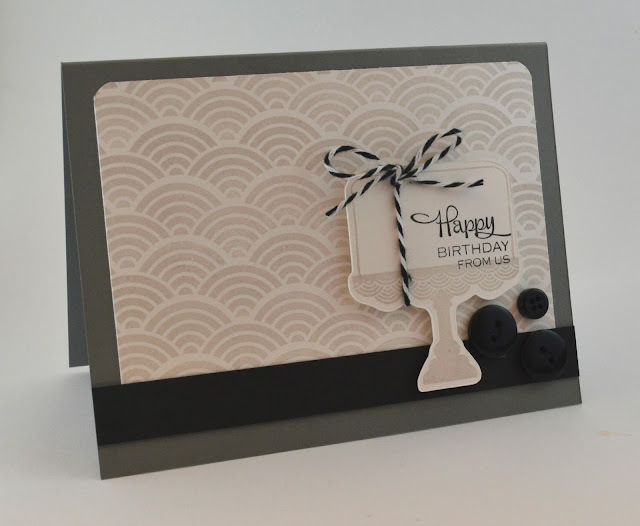 Our very own Heather created this fun card using our Good Fortune stamp set. I love how she used the This Is Your Lucky Day sentiment with the 8 ball image. The colors are so bright and cheery too. 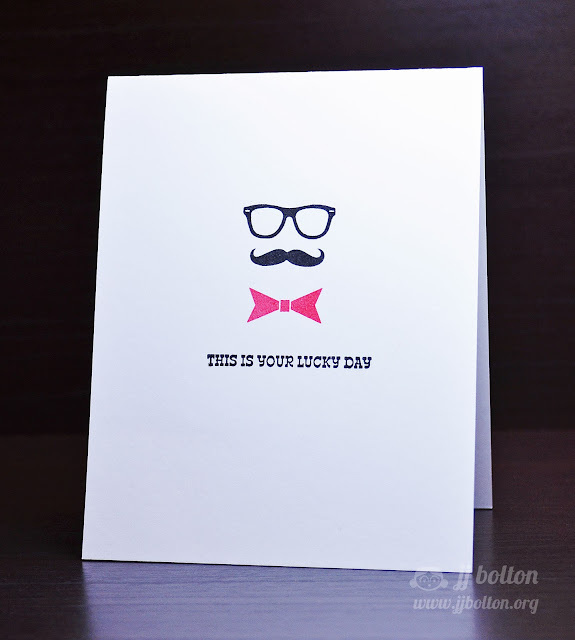 Who wouldn't love to receive this card? I also have the pleasure of featuring two additional valentine cards from two very special honorary design team members here in the Avery Elle family. Avery Elle is a small family owned corporation and the name was inspired by the middle names of our two daughters. Little Miss Avery (10) and Little Miss Elle (7) love to craft along with me, inspire stamp sets (Hipster-Potamus & What's Up?) and help me prep for releases. I truly appreciate all of their enthusiasm and help each and every month. 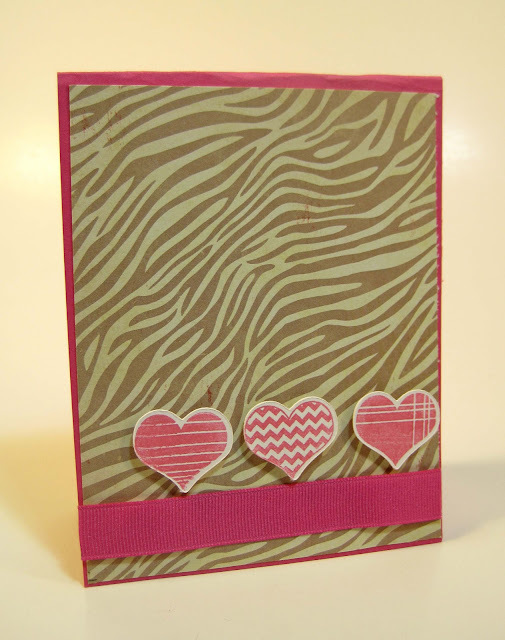 "Avery" created this sweet Valentine's day card using our Lots of Love stamp set. She loves bold patterns and definitely shows that here. The animal print on this fun card is so sassy and so her! 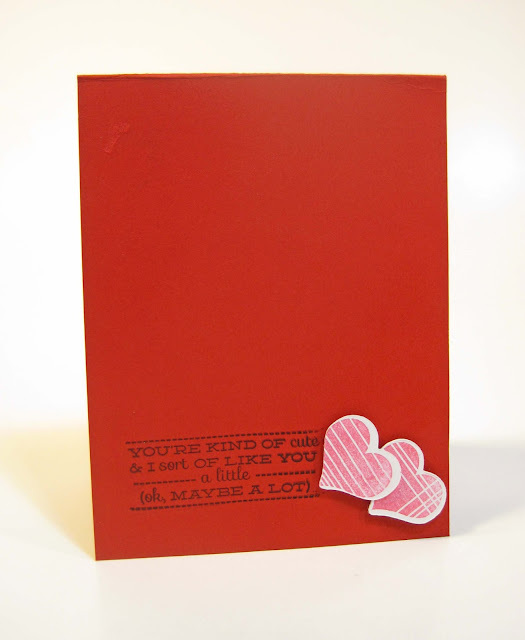 "Elle" created this very clean Valentine's Day card using our Lots of Love stamp set as well. Don't you love how she popped up the two hearts off to the side of the sentiment? We both picked this sentiment as our favorite of the set. So sweet, clean and simple. It is such a treat to be able to post this fun card by our February Guest Designer Veronica Zalis. 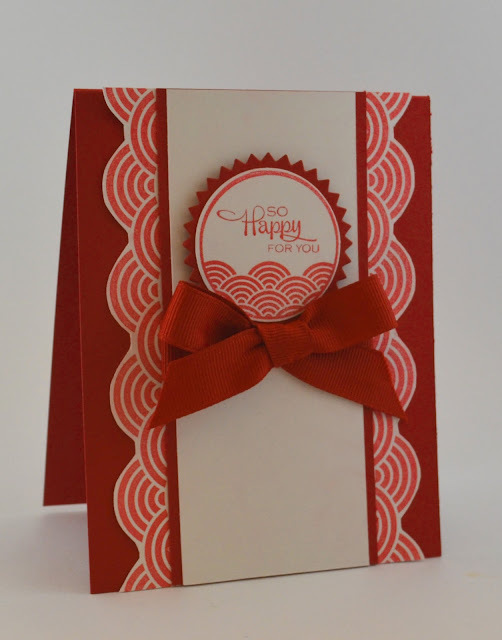 I love how she used our Good Fortune clear photopolymer stamp set to create this beautiful Valentine card. 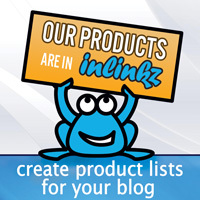 Be sure to stop by her blog to let her know what you think! 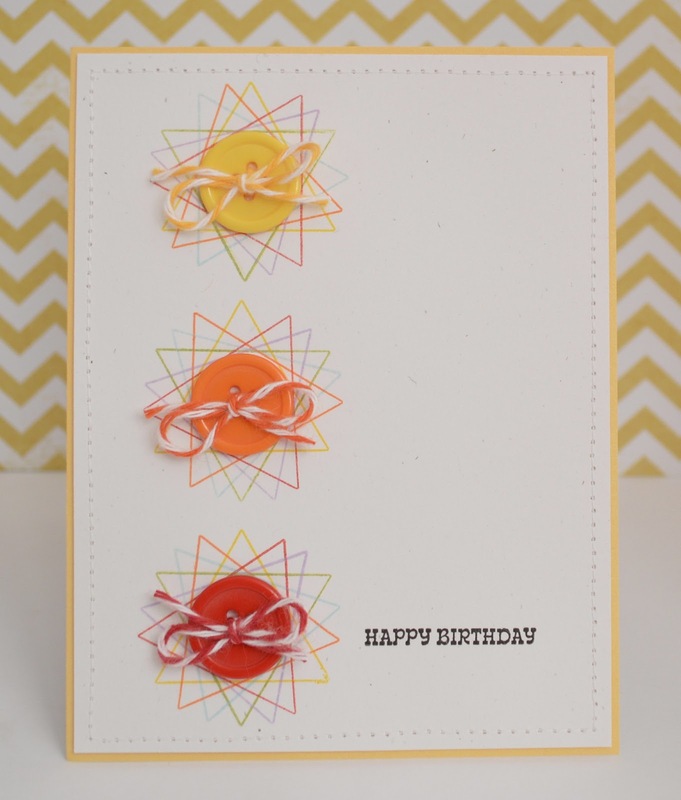 Also, be sure to check out the blog over at CardMaker magazine. They are featuring our Lots Of Love stamp set. Thanks for stopping by! Hello! I am back today to show you this super sweet card by our guest designer Nina Yang. I absolutely love the way she elongated this little guy's neck. Too cute! And check out those vellum glasses - genius!!! 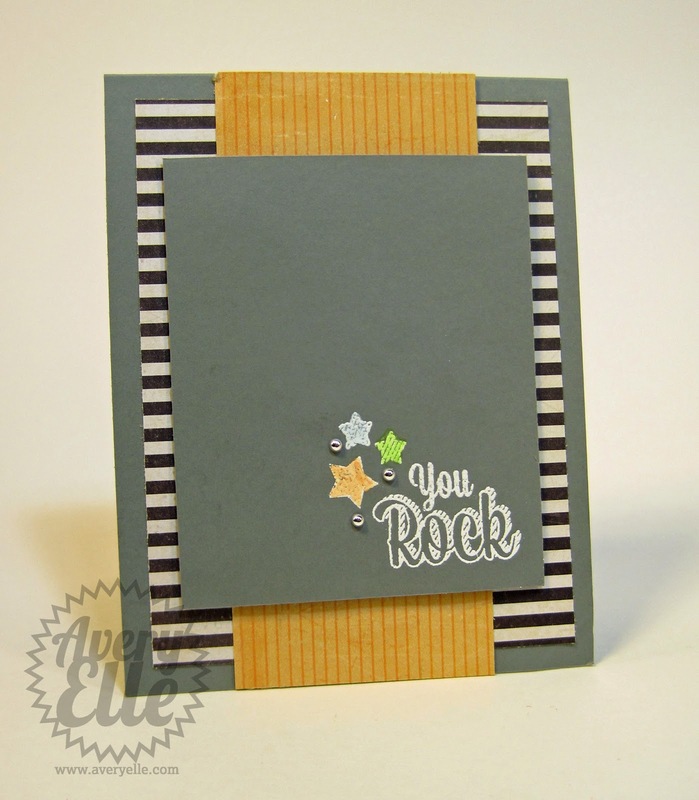 Be sure to check out her blog for more information on how she made this adorable card using our What's Up? stamp set.